For years Ground control type sleeves and Koni yellows were considered by most to be the best coilover/lowering option for the AW11. BC racing coilovers were probably considered a close second with both having pros, cons, issues and shortcomings. 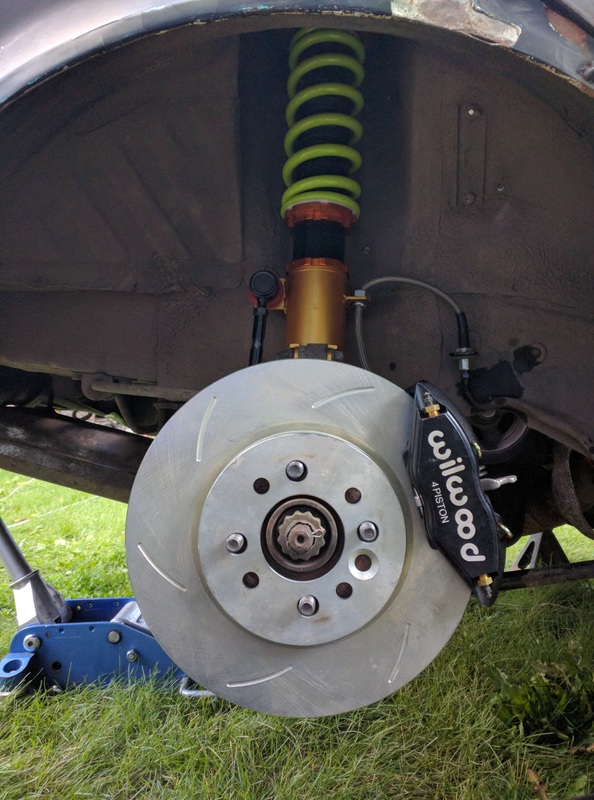 The Koni Yellows are very small diameter twin tube shocks designed to dampen stockish spring rates. They have no compression adjustment and even the adjustable rebound just isn't designed for stiff springs. Small twin tubes will heat up much faster and this will cause the suspension to change it's performance as it does. 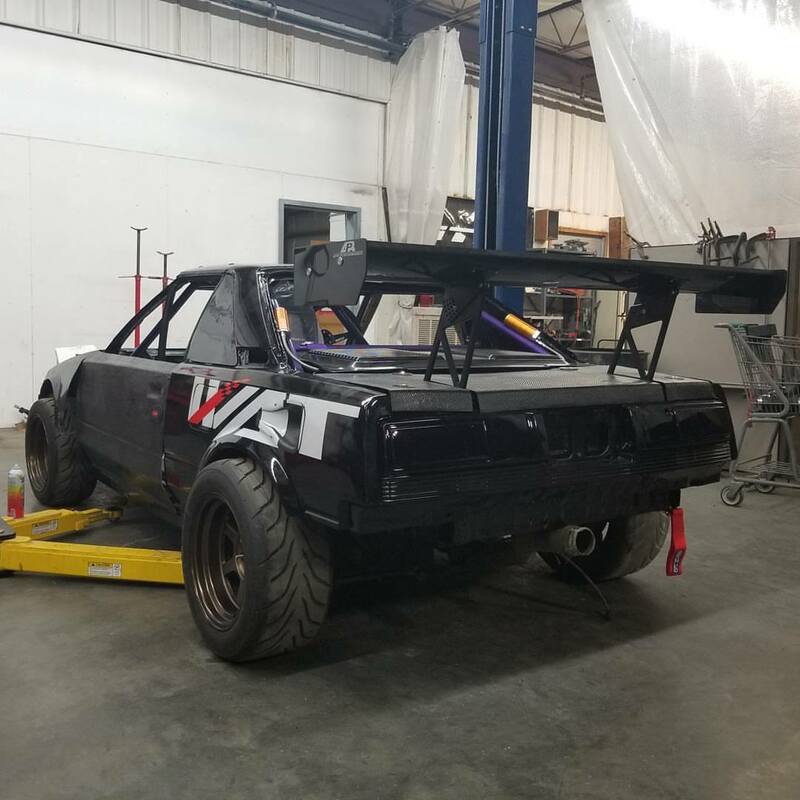 Another big issue was that if you lower the car much at all you use up all your compression travel and the car pretty much rides on the bump stops. 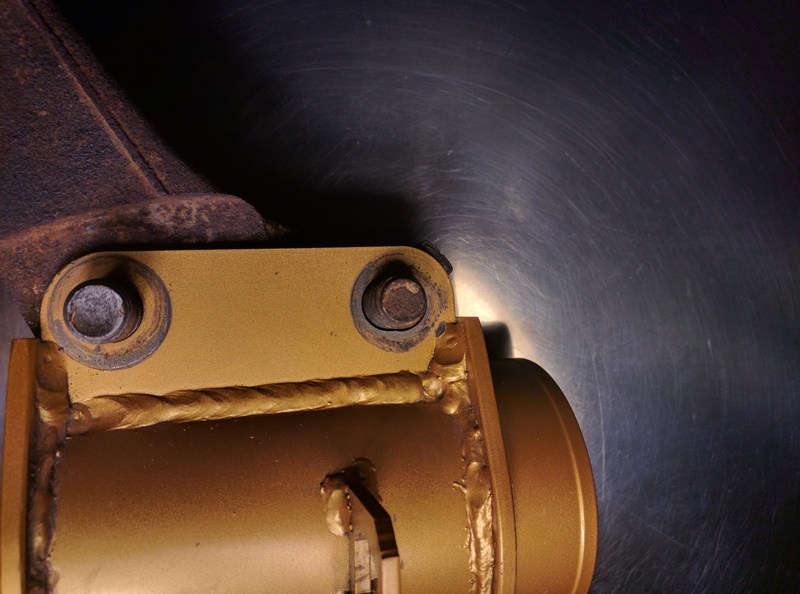 The Ground control coilovers address some of these issues but carry their own. The biggest issue with all of the cheap Taiwan/China coilovers is that they want to get products out of development and into production as fast as possible. This means taking a lot of shortcuts in design and tuning. The lower mounts are horribly half assed. The holes and tabs are made big and sloppy to account for sloppy tolerances and variance and to reduce customer complaints of fitment being too tight. Unfortunately this means things can move around a lot. 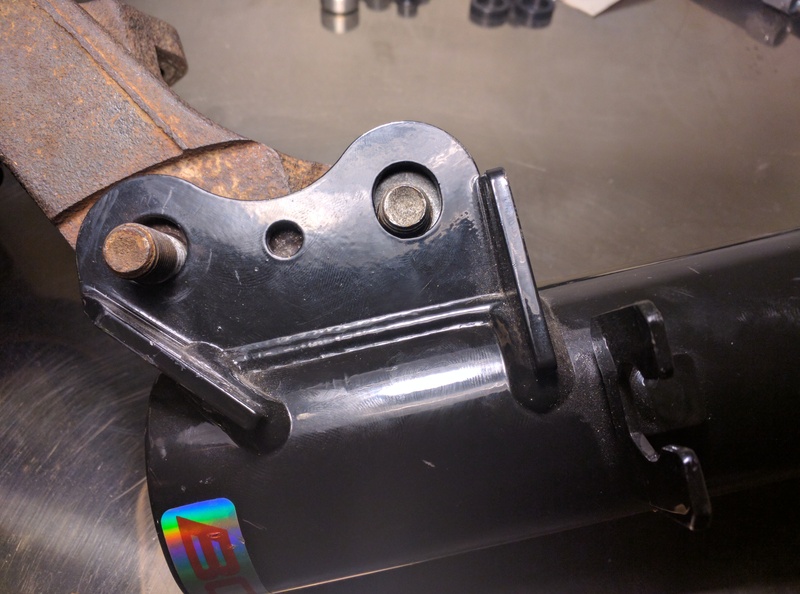 Since the stock setup is not designed to hold everything in place with clamping force alone so things can and have been proven to move around while driving. Especially racing or hitting big bumps or obstacles. To make this even worse they use horizontal camber slots instead of vertical like OEM. This does allow more camber adjustment for those only interested in the stance lyfe but again it makes it even more likely for your suspension to shift and change the camber while driving. They also advertise their coilovers for 1986 and up making a lot of people think they will fit MK1a 1985 and 1986 MR2s. Unfortunately this is not true. The MK1a has much narrower knuckles in the back and 12mm bolts instead of 15mm so their tabs and the holes are several mm too big. 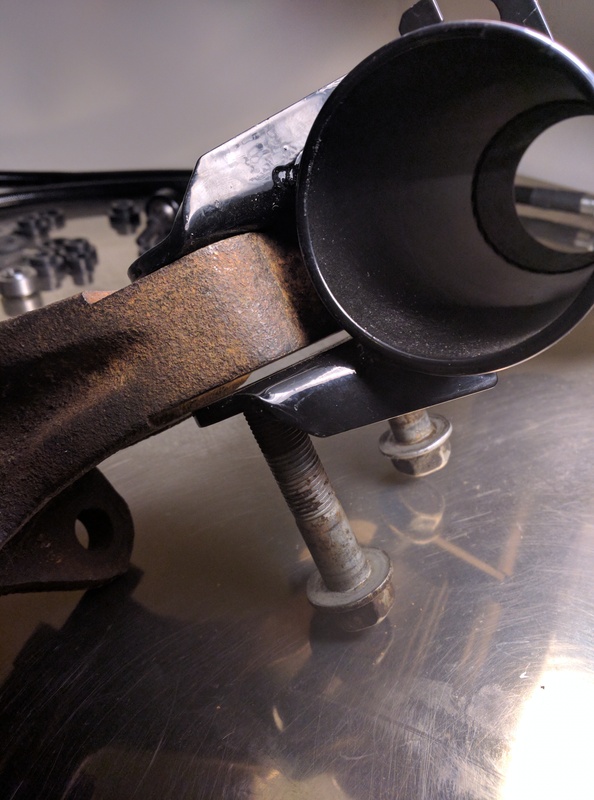 This makes it even more likely for suspension to move around because it is not able to apply enough clamping force and huge holes mean it can move a lot. 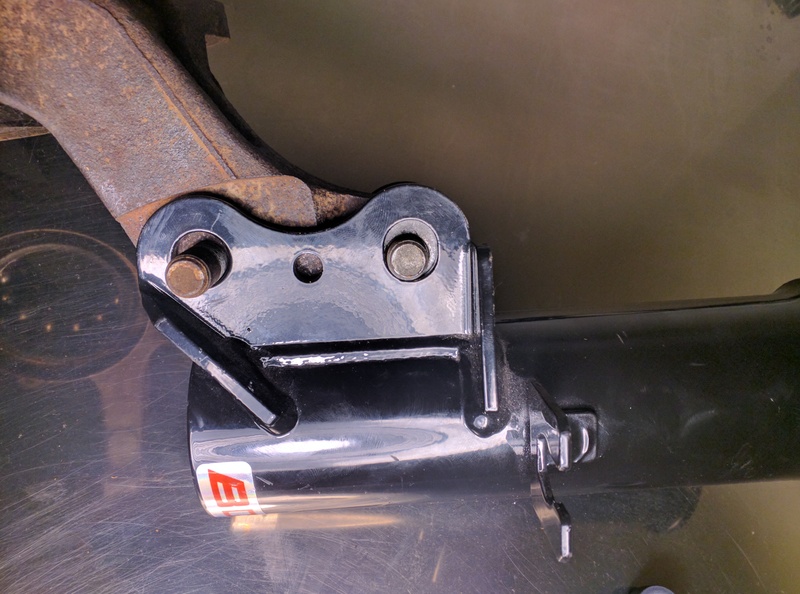 Here is a picture of a BC racing lower mount on a MK1a rear knuckle. They are big monotubes but they come with generic spring rates and valving. It is possible to special request custom spring rates and that does help dial them into the customers needs some. 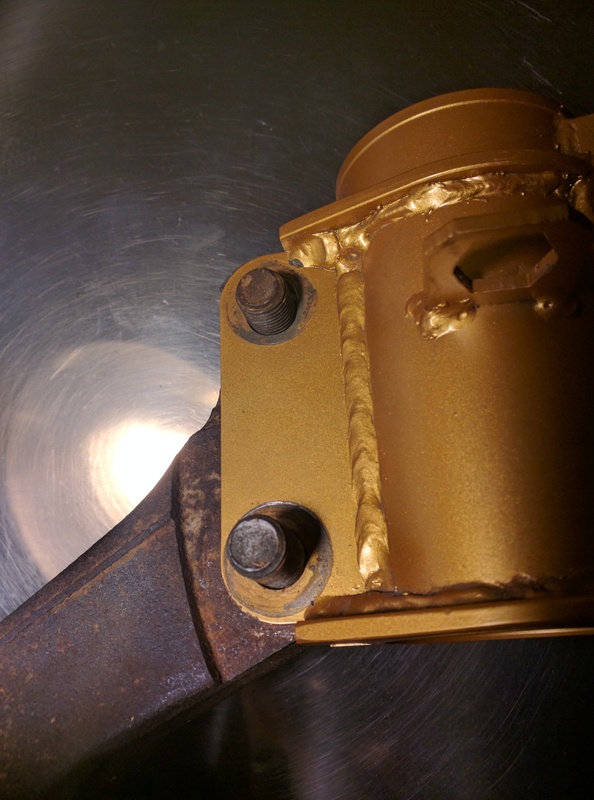 Other coilovers suffer many of the same issues. Many don't offer proper MK1a and MK1b versions. Those that do and those that don't still usually have sloppy tolerances or bad alignment specs and things like that. Almost all of them use horizontal camber slots, including some of the more "high end", designer or custom made type options. Not only is it possible for these slots to allow slippage but it also makes the stock camber adjusters useless and make it harder to fine tune camber. Because of these issues we found two manufacturers who were willing to make low mounts exactly to our specs. Our mounts have hundreds of hours if not more in design time, refinement and development into them. We also continue to refine things as we get more customer input. 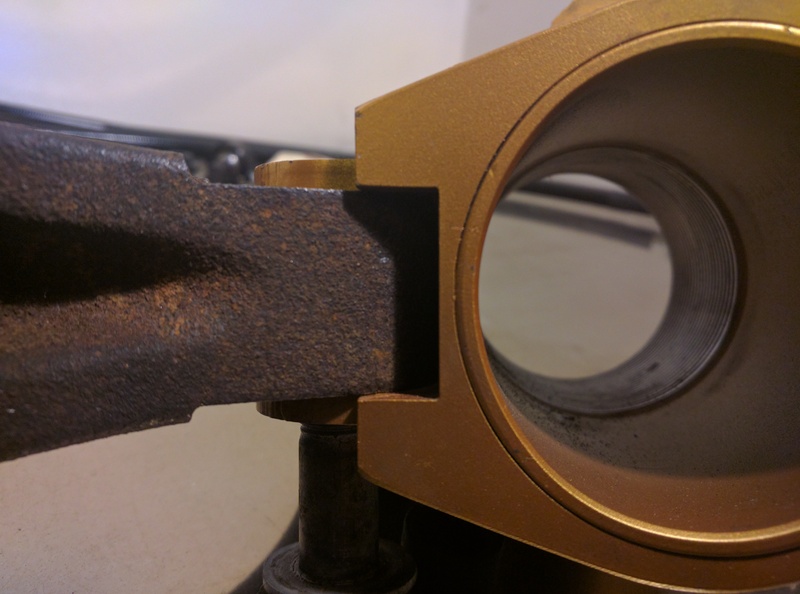 Our knuckle bolt holes are just like the OEM design. This means that the stock eccentric camber adjusters work properly and make fine tuning the camber much easier. It also holds the strut in place much more securely than the other aftermarket designs. The same goes with our suspension tuning. We are constantly refining, learning and developing our products. 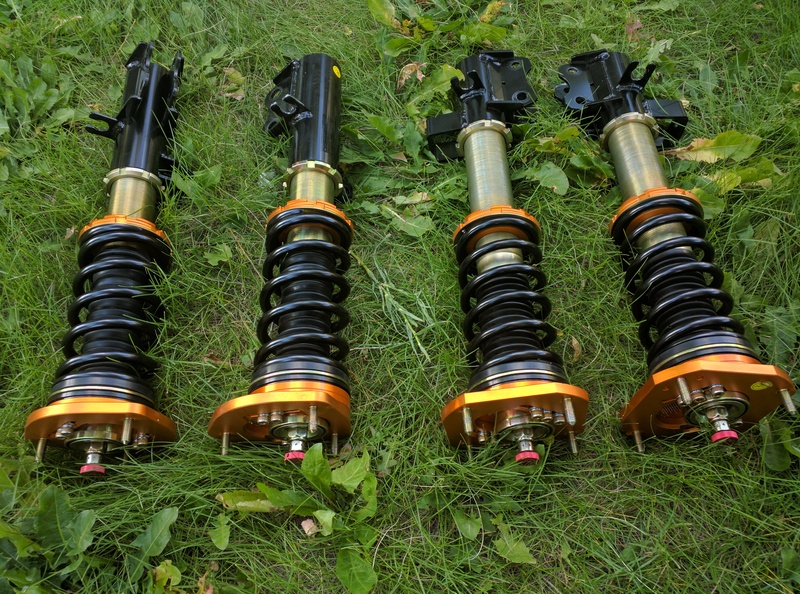 For the WAT brand coilovers our higher end Monotubes We can get the shocks valved for your driving style whether that's street, autox, track racing or something custom. We have a lot of shock dynos and can also have customers coilovers dynoed. 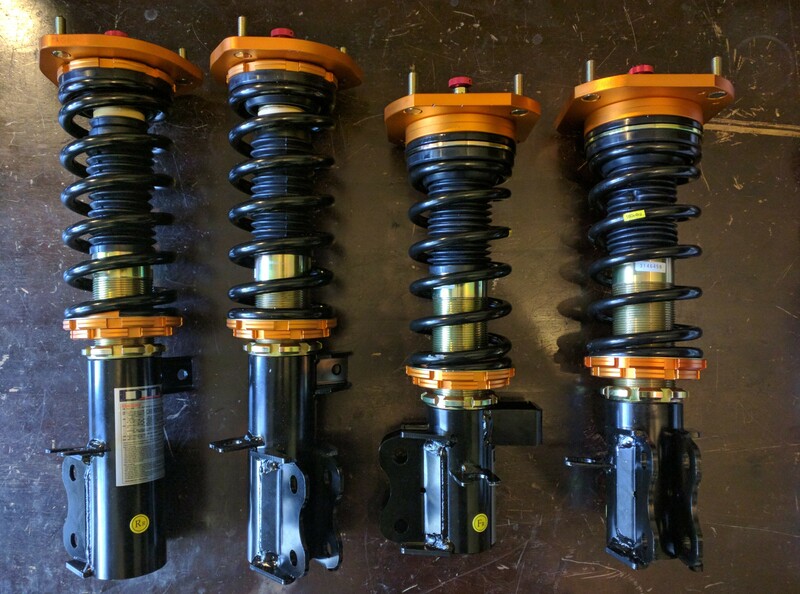 Because we have spent a lot of time tuning coilovers on AW11s with various setups and discussing suspension setups with other AW11 racers we can get you a setup much more fine tuned to your needs than you will find anywhere else. For example if you are switching to a staggered tire setup you will need to change your spring rates and possibly other things to get it handling properly again. Otherwise if you use a standard setup you would use for the same tires front and rear on a staggered car you would be very disappointed with your setup. Very few people even in the AW11 suspension tuning community know much about details like this. I am very confident in saying that these coilovers are the best available on the market. They are still a mid level coilover and they could be better. For anyone who does want to take them to the next level it is possible to build these with high end internals and custom valving. Because we know a lot of people in the community are on tight budgets and because a few people are looking for the best of the best we ended up working with two companies. The more budget oriented is Daiyama. Daiyama makes a nice twin tube design. The biggest advantage of twin tube shocks is that they have shorter strut tubes for a given amount of suspension travel. This allows more travel while still being able to lower the car more. When we first started looking into coilovers on the market we found out that the amount of travel was surprisingly short. Some we found had less than 60mm of travel before hitting the bump stops which starts to change the spring rate. Many setups used a shorter shock on the front which we never understood since the front has more room for a longer shock and because the spring rate in most situations will closely match the weight distribution so in theory the front travel should be about the same as the rear. So for the Daiyamas we got the longest travel shock that we could without raising the price too much. These are 120mm. This is the longest travel shelf coilover you will find short of many thousand dollar rally suspension. The Diamas are a great choice for people who are more budget oriented or put a higher priority on suspension travel while still being able to go low. They are about the same price as the BC racing coilovers but unlike theirs ours come with front and rear camber plates and also sway bar links. We decided to add these to our shelf units because we think the rear camber plates are worth a little more. We also used SKG for our shelf model which is our higher end range. 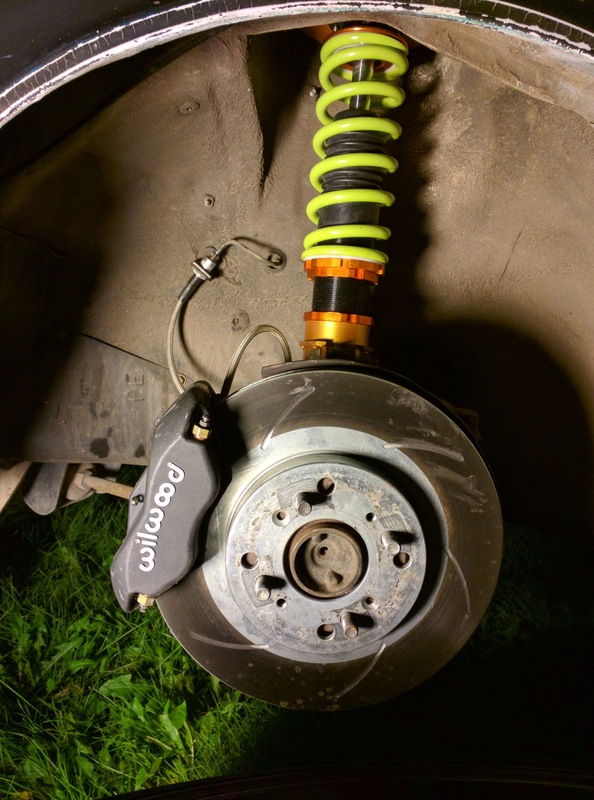 If someone wanted a more budget coilover setup we could get the cheaper version made but it would have to wait till we place a stocking order. 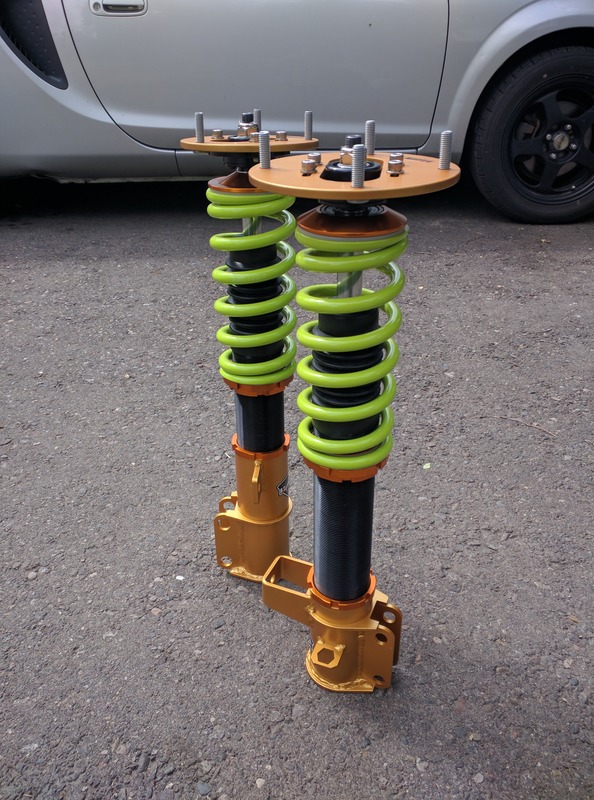 Next is our WAT coilovers. These are a higher end brand. They are better than BC or any of the other common Taiwan names. They offer a smaller SC type coilover which uses a monotube piston just a little smaller than BC’s the SC type being a 50mm strut tube and the BC’s being 52mm. They call this more of a street, light duty coilover but our cars are so light in all honesty these are probably plenty for the vast majority of people who do a lot of track days or compete lightheartedly. The rest of WAT’s coilovers use 57mm tubes with a 50mm piston. The WATs range from the SC type being just a couple hundred more than the Daiyama or BC’s all the way up to race suspension over $5000. You can get them in standard or inverted. You can get them with a single external reservoir with 2 way damping which controls compression and rebound via different adjustments, and you can get dual reservoir with 3 way damping giving you independent control over high and low speed damping. There is also a long stroke rally version with approximately 200mm travel. For an additional $180 you can upgrade from 100mm stroke travel to 130mm stroke travel. This can be good for people running softer street rates or for people racing on less predictable roads like hillclimbs with undulations or things like that. The 130mm stroke on stiffer springs does not go nearly as low as the other options so be aware of that.